The Pope was there. Russia’s Putin was there for the first time in 10 years. China’s Xi Jinping was there for the first time. Cuba’s Raul Castro was there for the first time. The Palestinian flag was there for the first time. In fact, a “record number of world leaders”—150—were there. Eritrea’s president, Isaias Afwerki, wasn’t there, failing in one more of his job descriptions: representing Eritrea at the United Nations. This is curious given that Eritrea’s state media routinely rails against the UN for crippling its development with “UNfair” sanctions and “UNjust” indifference to violations of its sovereignty. UNreal. The president has made a tradition of this: he wasn’t at the Common Market for Eastern and Southern Africa (COMESA) Heads of States summit in Egypt in June, where he missed the discussion about creating an even larger African common market. He wasn’t at the African Union (AU) Summit in South Africa also in June, where he missed discussions on a range of issues. He wasn’t at the UN’s “Addis Ababa Action Agenda” held in Ethiopia in July, where he missed discussions on the Third International Conference on Financing for Development (FFD3). UNreal. Representing Eritrea at the UN’s annual meeting of the General Assembly, which ended on Saturday, was its Foreign Minister, Osman Saleh. So, what’s on the world’s agenda? What keeps the world up at night? And by “world” we mean, of course, the industrialized nations. Russia asked the world to form a coalition with local governments, no matter how distasteful the local governments might be, to defeat terrorists like ISIS. The world was not impressed. Europe said, “Can we do something about Syrian refugees?” and had no clear consensus. Palestine said it no longer feels bound by its treaty with Israel, but nobody took it seriously. Israel said it is amazed that the world is silent as a member state—Iran—pledges to annihilate it and, for dramatic effect, its Prime Minister gave the audience the silent treatment (literally) for 45 seconds: they were not impressed. Pakistan accused India of fomenting instability and called for new peace treaty; India said not before you give up terrorism. Listening to all the speeches, one gets the sense that the world is on fire. It has terrorists, failing states, and a massive refugee/migrant crisis. The UN has 9 peacekeeping missions in Africa; 4 in Asia; 2 in Europe and 1 in North America. There are large wars in Syria, Iraq, Afghanistan, Yemen, Nigeria, Somalia, and Sudan. There are simmering and bloody feuds all over, including in Central African Republic and Burundi, and crushing poverty engulfs the planet. It’s against this backdrop that Eritrea’s Foreign Minister, Osman Saleh, gave his speech. It had four parts. It included the same self-praise other African nations indulged in, using selective goals from the Millenium Development Goals (MDG): in Eritrea’s case, it is always Goals 4,5,6 and never mind 1,2,3,7,8,9. Even the adjective he used—“remarkable”—is the same one used by other African states. Another part of his speech was to bemoan the dysfunction of the United Nations—as countries have done for 69 of the UN’s 70 years of existence. But, whereas nations, and national blocs—like the African Union—have suggested ways to remedy this by, for example, expanding the list of the permanent members of the Security Council to include an African voice, the Eritrean government has sought a policy of self-isolation. The third part of his speech was a call for the UN to lift the sanctions on Eritrea; and, lastly, it was a call for the UN to compel Ethiopia to abide by the terms of the Algiers Agreement and vacate land ruled sovereign Eritrean. And all of this was said within the backdrop that Eritrea is “peaceful, stable, secure and harmonious.” The world has no reason to doubt him: in the whole year of 2014, according to the Armed Conflict Location & Event Data Project (ACLED), there were only 10 Eritreans killed while crossing the border to Sudan. Never mind the thousands of Eritreans who have been made to disappear, killed, hijacked, ransomed, tortured, drowned in what feels like every day of the week. Like this one. Given all of the above, the UN is likely to say, “Good on you, and good luck with that” and do nothing more. On the UN’s list of priorities of massive wars, overstretched peacekeepers, refugee crisis, a melting planet, population explosion, Eritrea’s self-inflicted wound—and, surely, the sanctions are a self-inflict wound—doesn’t register. The allies Eritrea are counting on—Russia and China—are mired in their own morass and re-pivoting. Russia could not get the UN to give an ear to its coalition-building formula (hold-your-nose-and-support-the-tyrant) because of its aggression in Ukraine. Its economy is in free-fall and it is dealing with its own sanctions. China is busy getting acquainted to its new role as an empire: here’s a couple of billion dollars for the 2030 Sustainable Development Goals (SDGs) and peacekeeping missions. Barring some 9-11 type of rule-changer, it is hard to see how Eritrea’s demands to get the sanctions lifted will be given anything but a deaf ear. Is It Ineptitude or Intentional? How did Eritrea allow itself to be sanctioned when it knows, or should have known, that its actions would lead to sanctions and it would be very difficult to get them lifted? There are two theories for this: ineptitude or intentional. Clueless or conscious? If that is indeed the case, then it is tragic for Eritrea that a clueless group leads it. Another theory is that Eritrea’s policy makers (Isaias Afwerki Plus) are as smart as Ambassador Andeberhan (and you, and me, and anyone who saw this coming) and they knew exactly what they were doing. They knew their behavior in Somalia and Djibouti as well as their withdrawal from IGAD and their hibernation in AU would result in Eritrea being sanctioned and they knew, all along, that once it gets sanctioned, it will be next to impossible to get out from the sanctions and they went ahead to get Eritrea sanctioned and isolated. From an accountability standpoint, it doesn’t matter which theory is right. 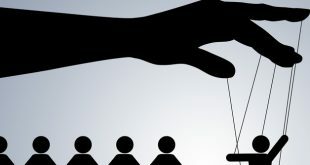 The standard used for evaluating the consequences of decisions that executives make is: “they knew or should have known”, or what the legal types call “intentional tort”. And in any normal country, the executive team would resign for inflicting so much harm on the country. But Eritrea is not a normal country—it is a country where the engineers of rashness want to be celebrated and given kudos for their recklessness; one where people who disagree are exiled, made to disappear, or imprisoned for life under the most inhumane conditions. No matter which theory you believe in, you can’t explain the behavior of those who are the supporters of Isaias and Isaiasism and those who believe that Eritrea was sanctioned for no reason at all, and that the sanctions are being kept in place for no good reason at all. Unless you consider the Cuban model. Back to the UN. Delegates of member states greeted Cuba’s Raul Castro with sustained applause. In his address, he called on lifting “an embargo that should not be in place anymore… causes harm and hardship to the Cuban people”; he demanded the return of Guantanamo Bay (which has been occupied by the US for a century, a gift from Spain, Cuba’s former ruler); he blamed the West for destabilizing the Middle East which has created, among others, the refugee crisis. His speech was received with sustained applause. Cuba, without a single modification in its 50-year-long policy, just recently prevailed on the US to modify its policy of isolation; and it prevailed on the world to list it in the Human Development Index (HDI) making it, using HDI standards, to be a member of the exclusive “very high human development” club. That’s the model for some Eritreans now: Cuba. Perhaps to counter the imperfect “Eritrea: Africa’s North Korea” narrative, some have now begun an aspirational counter-narrative: “Eritrea: Africa’s Cuba.” You can see that narrative here, here, and here. The similarity that people want to draw is this: Eritrea, just like Cuba, is being penalized by the US for the simple fact that it chose an independent path from the one prescribed for it by the US. And just like Cuba it will not yield, and it will wait for the US to come to its senses—even if that takes 50 years. And for 50 more years, the US can talk about how Eritrea is being emptied out; how there is no democracy; how it is a brutal dictatorship….but Eritrea, like Cuba, will just focus on improving the people’s quality of life until it, too, joins the “very high human development” club. If you can’t even begin to understand that, well, join the club. I can’t understand that thinking when Eritrea is now, as Rania Mamoun put it in her beautiful reportage, “gliding with broken wings.” But “gliding” and “broken wings” are contradictory. Broken wings, unless they have self-healing powers, result in catastrophic damage and the consequence of that is a hard landing, with zero gliding. Everybody can see the bird (or plane) with broken wings. And everybody knows what happens to birds (or planes) with broken wings. But there is seeing and then there is SEEING. (“…for we walk by faith not by sight…”) A person who sees a disaster in the making and is blind to it and, indeed, praises it can only be an ideologue, a true believer. And as a social scientist once wrote, ideology is another form of narcotic, as addictive as alcohol, drugs and gambling. And when gambling is your ideology, then that is twice as addictive and it is next to impossible to reform without massive family intervention. But only from family: any other form would be totally destructive. Eritreans need to intervene and stop the Eritrean government from harming itself and the Eritrean people. You are right Berhane was captured in North Shewa or Wollo, after he was driven out of Tigrai by TPLF. I am a witness of the harassment of TPLF zemecha students who were assigned to Tigrai, and most came from Addis. We were told that Tigrai was not part of our country and must leave, and because of that many has to withdraw and went to Addis and became the targets for the Red Terror. I wish there was a real economic development in Tigrai. Why do you think we still have TPDM? Why did their leader left the struggle after the a united Ethiopian Salvation Front was formed? Why do you think Ethiopia is still hanging to Bademe even after the world court decided that it does not belong to Ethiopia? Is it fair to deploy over 300,000 thousand young soldiers to watch the border with Eritrea? Shun, every thing revolves around the cancer ‘the Abai Tigrai thing’. That is why TPLF preach day and night that Eritreans as the Enemy of Ethiopia headed by Isaias to overthrow Eritrean government (singing change of regime)! PIA has declared publicly on several occasions, before Eritrean independence and after even after the border war that he wanted to see a strong united Ethiopia peaceful within itself and with its neighbors and not a weak divided Ethiopia.. That is also true with Sudan, Somalia and Yemen. But of course those who do not want to see a peaceful Horn of Africa, preach the reverse. the media and I don’t think it deserves a discussion. Ethiopian no I don’t think it is FAIR. There has to be an end for this! border without negotiation. That is not logical for me. than enough times that ‘Shabia is an enemy’. to conclude TPLF is implementing the crazy idea? Sorry Dawit I don’t think so. with this idea in their mind which I don’t think is healthy. of the opposition parties in Ethiopia are obsessed with ports especially Assab. This obsession is also shared by some opposition members stationed in Eritrea. is President Isayas Supporting them? Concerning about a dialog on border demarcation between Eritrea and Ethiopia, I have no problem if it can solve the issue. Why Eritrean government does not want to do that, I don’t know, may be they believe the time for the negotiation was before going to war, when PMZ refused. Now it is an issue of accepting the binding court order. Ethiopia after initially rejecting the verdict now she claims it has accepted it in “principle” and God knows what that principle means. Now concerning PIA support to OLF and Ogaden Liberation fronts. Remember those two organizations were formed even TPLF came to the seen. It is not up to Eritrea or PIA to force these organizations to forge unity among themselves. Remember OLF was the collation partner following the London conference to form the Transitional Ethiopian Government with TPLF. However TPLF kicked them out or withdrew from the partnership. PIA tried to mediate between them, but failed. Eritrean support for Ethiopians opposition members, whether inside Eritrea or outside, has nothing to do with Assab. If some groups are foolish enough to take Assab by force, then these groups are dreaming and have forgotten their 30 years of war in Eritrea. That war definitely dismember Ethiopia like Yugoslavia or Somalia for good. Now there are those also TPLF members who dream to exchange Bademe for Assab! I think same mistake is being done over and over again. Before that devastating war PMZ refused to negotiate stating some silly conditions and more than 100,000 innocents died. PI is still doing same mistake done by PMZ. who could know what the near future holds for us(?) May be a more devastating war with casualties more than the previous times(?) Who knows a new war could be the end of both nations if not the region’s! God forbid this! Good to know you Dawit! Good to know you also Shun! You are exactly right, IA seem to follow same logic what MZ used before he declared the war on Eritrea, not to discuss issues and compromise to avoid conflicts. The region has been unfortunate when it comes to war and peace. When I think about it, our region have gone several continuous wars in the last 150 years. Meqdela, Metema, Aduwa, Segele, Maichew, Keren, Woyane, Ogaden, Eritrea, Gojam. Bale, Massawa, Bademe etc. It seems we have more landmarks representing conflicts than churches and mosques. May be, that is why our region is the poorest region in the world. I have travelled in many parts of the world and I never seen abject poverty like we have. There is droughts and floods through out the world, but never devastating famine as seen in our region. It is not that we have less resource than other regions of the world, in fact we may have more fertile lands, water, minerals and hard working people. The only ingredient that we lack is peace. I don’t know if these characters are unique to our region, we seem to associate honesty with foolishness and cheating others as smartness. We don’t know how to compromise for sake of peace, compromising is weakness and stubbornness is strength, so we never arrive to a permanent peace. But always in transition periods to bigger wars. As you said God forbids we may be preparing our region for a bigger war!. Between you calling me a Professor (I am not) and Dawit calling me Mufti (I am sooo not), I don’t know if I should lecture or preach, so I will do both. 1. How much did it affect PIA and its clique? d. Ban on a nations ability to import food, medicine. Could you show me a single incident of a single opposition organization calling for that? I am going to insist on a link here. Otherwise, it is just halewlew and podium pounding masquerading as argument. 3. Did I consider alternatives to “kneel down the PFDJ and its leadership”? Well, of course, I did. Refer to answers provided above. 4. All of the above are not due to “PFDJ, bla.bla, etc.” They are the direct outcome of Isaias Afwerki’s series of terrible decisions. You cannot hold me responsible for being too lazy to actually read the language of the UN resolutions calling on Isaias government to do/refrain from doing specific things, and you can’t hold me responsible for being too lasy to actually read the responses that were given by Isaias Afwerki–in his rambling interviews; at shabait, at Eri-TV, at Eritrea Profile–from 2006 to 2011. That is a long, long, long paper trail. It may inconvenience you to read this as it may get in the way of you planning a trip to Keren to visit your mom (God bless her) but do not hold the opposition responsible for your personal weakness and frailties and wanting to have it both ways. 5. The New York demonstration? You mean the one that every Eritrean is talking about, reaching deep into his/her meager resources to schedule a flight to book hotels, you don’t know anything about? Why should I tell you? 🙂 So you can have your political Tourette Syndrome about weyane? Why do I want to help you to insult people who are going to New York to speak on behalf of their family members who cannot speak because they have been made to disappear for decades? Your condition of “if…then” is a personal selection. You can go, you can stay; you can spread your legs wide, with one in the opposition, one in PFDJ until they break apart: we all make decisions and live with out decisions. I am not trying to win you over, Hope. I have placed you way down in the list of the eternally confused; I am better off using my energy for more productive efforts. Whether you know it or not what you write here at AT forum is preaching. We all are preaching what we think right and try to influence the readers. Consciously or not what we think right or wrong is based on our upbringing as children and the religions that we were exposed by our parents as children. With your Muslim background the Holly Quran must have shaped your views and similarly my exposure to the Christian background is influenced by the Holly Bible on what we think ethical or not . Even atheists who may refute religion can not escape from their religion exposures as infants. Take for example Marx and Engels Communist Manifesto has its blue print from the Judaism and Christianity books. the teachings of Moses and Jesus Christ. Abi gave me the title Pastor of course I am not a legitimate ordained pastor but I play a fake Pastor her at AT with my Sunday sermons and I gave you the title of Mufti, It was based on your talent as a preacher her at AT.but cousin if you don’t like it I will humbly take it away the title from you. I am sure Hope must have used the title to honor you as professor on the role you have as a teacher at AT. back to the ‘UN or US sanction argument. You try to make a distinction between Military and economic sanctions and its effect on Eritrea as country. When there is any kind of restriction it create a fertile ground for black market transaction at a much higher cost. The UN or US arms embargo on any country does not stop the shipment to that country. The country will import the arms it needed for national defense one way or the other. The only difference, it will get it at a much higher price than normal free market price. Paying a higher price in the black-market leave less resource to do other projects like education or agriculture etc. Therefore, cousin, no matter how you want to put it ‘smart sanction’, or ‘targeted sanction’ they all are dumb sanctions affecting the lives of ordinary Eritreans. Now cousins let us forget the gumbo mumbo, let us a nice Eritrean spicy Zhgni or shiro my favorite. The “professor” and “mufti” doesn’t offend me in the least: we just happen to have occasional readers/contributors at Awate and I was doing a disclosure. Other than that it’s all good. 1. Isaias Afwerki takes all the blame, in its entirety, for the reason Eritrea is sanctioned. He took radical position about Somalia calling for Al shabab to be part of the power sharing long after the organization had made it clear it is a terrorist org; by withdrawing from AU and IGAD he allowed Ethiopia to drive the agenda at AU and IGAD; he refuse repeated entreaties to engage the UN including about Djiboutis complaints that he had waged war and occupied territories. 2. Long before Somalia and Djibouti, we (Awate) called on the UN to restrict the movement of the govs senior officials, to deny it the ability to intimidate Eritreans in Diaspora. We won some we lost some. 3. national defense: the example you gave is a good one except that we (Awate) did not call on an arms embargo on Eritrea. And I don’t know of any opposition org which did. Do you? There are two awatistas that I can not try to challenge them: one is dawit, the funny dude, and you Mr. Hope, the ugly man. You both are amazing creatures. I love reading your inputs. Nothing makes me happier than your lines. Why then I challenge you when I laugh fully without reservation? Amazing creatures of God. May God Bless you. You have not addressed my concern or question! Kindly be advised to refrain from questioning and belittling peoples’ Faith,which is exclusively Private and Personal! You cannot be the Prosecutro and the Judge @ the same time! Contemplate on his example about the unnecessary loss of ERITREAN Lives ! we had been asking the same question for a long time now. we do not know if there is a mission yet unaccomplished. the nature of the message to the ethiopian people in general and the people of tigray in particular, is a question that revolves in the mind of many ethiopians. why it still calls itself a liberation front, 25 yrs after coming to power, should be explained one day. How about that wild dream of Woyane Abai Tigtrai? Waiting to exchange Bademe for Assab! I am an Ethiopian. Honestly, I don’t know about this Abai Tigrai thing. I am here to learn refer what and where to read. If I found it convincing I will be by the side of the Eritrean People. The “Abi Tigrai thing” is the true cancer cell that was planted against the peaceful coexistence between the Eritrean and Ethiopian people. It was planted by TPLF to create a new country forged out of Ethiopia and Eritrean territories. To implement that at first they have to kill everyone Tigraian like Berhane Meskel Reda that believed in Ethiopian unity. EPRP (Ethiopian Peoples Revolutionary Party) army that was station at Asinba mountain in Tigrai provice and any Ethiopian (Zemecha students assigned in Tigrai). They were harassed to leave the province. I was stationed in Tigrai at that time and I witness and experienced the harassment. Any way you can start reading this article on Abai Tigrai project. Good Luck in your search. I think and it is only my suggestion – while Haile’s and your quotation is valid and sure should be answered, but there, watching the other side of Ex-sister front (EPLF) will show us TPLF is more honest as it didn’t try to cheat by giving another name even after having more narrow and worst part of EPLF on hand called PFDJ. in fact I support the present of TPLF as front still while fallowing the instruction of the central government of Ethiopia. honestly speaking you can’t keep your balance in such very much affected nation unless you have your party till things settle. but the at same time the question should come like this , did TPLF oppose to have other parties? will they react negatively if you have Amhara party- for example? if yes, then the front have accepted to respect the present of others and have accepted the centrifugal force thus the central admin. if the answer is no, then only we can see the present of TPLF as party is in question to why. true, pfdj has not lived up to its name. it is not democratic, nor just or popular. in the ethiopian political situation, there is no problem in having a political party that represents the people of tigray. after all ethiopia is an ethnic federation; and it is only natural that people would tend to have a party that protects their interests. what we were saying is that, why is it that tplf still characterizes itself as a libration front, a term which connotes other times and other situations, we all hope have passed for good. ፈገግ በልልኝ ኣድማስየ :- ኣይ እንግዲህ ወግ ኣጥባቂነትም ኣይጠፋም ! OK that wasn’t my question, let me re-iterate now: dawit, KS and Nitricc, no spinning this non political question. Simply put is it unique that TPLF hadn’t dissolved itself till now or is there reason for it (real reason, no spin:). I think there is no any problem in keeping the name Liberation Front. It could be explained that, before, it was for a liberation mainly from the Derg oppression and mistreatment. Today, it has to do with the liberation from poverty, illiteracy, backwardness, maladministration, corruption, etc. Besides, name is just a superficial matter, it is the policies and practices that matter most. Is there any name more tempting than “Peoples’ Front for Democracy and Jusctice“? liberation from poverty, backwardness, etc. comes through a common endeavor, because it is a common problem of all the peoples of ethiopia. it is not a problem that should be handed solely by tplf. it is not necessary therefore to use the term “liberation front” for a common ethiopian dream. names sometimes have their significances, and at other times, they may lead to unintended interpretations, or they do not mean what they say, as in the case of the pfdj. in my opinion, ethiopia has crossed the rubicon of liberation fronts (armed or otherwise), and it is better we do not find new interpretations for things that we should have left behind us. Yes, the problems we mentioned are common to the entire Ethiopian people; but I think we are speaking here particularly of the TPLF, a party which is Tigray based and is meant to represent mainly Tigrayan interests in the federal government. Let’s say there comes a political party with the name Oromo Movement for Democracy and Justice. Are we going to object to the naming, considering that the issues of democracy and justice are not limited to the Oromia state, but to the whole people? May be the dream of Abai Tigrai is still lingering in the minds of few tigarians like Horizon, annexing some more land from Gonder, Gojam and Wello for the completion of the Nile dam, and most of all the completion of the exchange Bademe for Assab port from Eritrea. Remember EPLF under IA has been the obstacle for Abai tigrai from its inception and removing him by any means might accomplish the wild dream of hardline Woyane stooges. If a front is shaped and organized in the structure of a party, it will still be a party. In a principle a front doesn’t only represent for a liberation army. I still clearly remember during the haydays of the armed struggle one of the sticking point of disagreement between TPLF and EPLF is the insistence of TPLF for independence from Ethiopia. EPLF stood for the unity of Ethiopia without Eritrea. I refer you to the original manifesto of TPLF and its map. I used to argue with my Tigraian friends on the topic, when they thought Eritrean were selfish while looking independence for Eritrea, they were against a complete independence for Tigrai. In the end they listened to EPLF and formed EPRDF which was a better alternative for Tigrai. Bademe and Assab are the remnant nostalgia of Abai Tigrai. a shift in strategy of using Ethiopian manpower and wealth to achieve that aborted dream, by playing the song Eritrea as the immortal enemy of Tigrian people and Ethiopians. Today TPLF have their number one Turist attraction spot in Makale is museum of Eritrean bombing of a school during the Bademe war! creating a permanent enmity between the two people. In fact what surprises me is the status of EPRDF; as we know this is a coalition of four “individual parties”. However it looks as if the coalition is a constant one, as if the individual parties are held together by force in a single giant party. Normally coalition parties should be free to choose from any other parties as partners. But do the respective parties that form the EPRDF really have the freedom to choose other parties outside the EPRDF as partners? If not, could we say that the EPRDF government is actually a dictatorship disguised as democracy? Although your question is different to mine, it is true that EPRDF is a party based dictatorship or authoritarian system. It could also be said benign authoritarian because it has a degree of tolerance to opposition to a certain extent. Party based dictatorships (as opposed to personality based dictatorships) are more stable, reformative (although it may take time) and have good resistance to sudden upheavals (even though it can’t be ruled out). They render high possibility to bloodless transitions and are good at spearheading national reconstruction programs. Personality based dictatorship, like ours, are highly dangerous, volatile and almost always are changed through extremely violent means. They are weak at nation building due to lack of institutionalization which is the only way one can maintain personality based dictatorship, i.e. weakening institutions. Once the personality is removed there are no institutions that can function properly to withstand and absorb the shock it creates amidst the violent removal of the personalist dictator. My question about TPLF not dissolving itself until now is to see if the technical aspect of dissolving a long entrenched organization is too complex and they found it easier to maintain it? When EPLF was declared dissolved in 1994, was it hasty? Can one simply dissolve such an entrenched organization by merely declaring it so? In fact, can we say the dissolution of EPLF in the manner it did was technically wrong? I think if we agree that the EPRDF system is a party-based authoritarian rule, then the answer why the TPLF has not dissolved itself should lie there. If TPLF as one of the entities of the EPRDF dissolves, then how would the Woyanes control the political and economic life of Ethiopia? In my opinion, the other parties within the EPRDF are there to show a semblance of ethnic based government, while real power lies with the Woyanes. Though there is a better political space in Ethiopia in comparison to Eritrea (actually beyond compare), democracy still is illusive. Regarding the EPLF, could we really say that it was dissolved? I would say it was rather transformed from an organization mainly fighting for independence, to an organization that would eventually lead the process of translation towards multi party democracy. The programmes/charter of the transformed organization had to reflect the needs of the new era and nation-building. However, the old EPLF leadership and structures, remained in place, apart from the most notable resignation/axing? of Romodan M.Nur. and the addition or promotion of a few ones. This is my humble take, attempting to give my opinion on your rather difficult questions. I would appreciate it if more informed people like Saay, Mahmud, or any one else could give a further explanation. Discussing why TPLF is still TPLF, you first directed the question to Ethiopians only; now you have extended it to Ethiopians plus Mahmuday. How do they say “my feelings are hurt” in Hgdef Tigrinya cousin iSem? ናይ ዕድመ ወረቀት ኣይበጽሓንን! ስምዒተይ ተሃስዩ. Hahaha. WHEREAS the TPLF is so pro-change it created a system of ethnic federation that includes, theoretically, creation provinces so autonomous they reserve the right to secede. The Tigray People’s Liberation Front remains the Tigray People’s Liberation Front. Addis, please bring your #2 pencil and calculators are now allowed. Eyob, you may come out of your cave. Rahwa, feel free to bring along all your haftey natey. More grist for the mill. It is a lesson to me that “”…liberation front” is a phrase associated with clandestine organizations that use illegal means to bring about desired change….”. My knowledge on the political and legal meaning of parties and organizations is almost zero. So I can’t say much on Haile’s question. But if I am asked to give my reflection, first I believe that the people of Tigray will never support the formation of an independent Tigray. Ethiopianism is in the people’s blood. Second, lets’ say the leadership has an unfinished agenda of having another tiny independent state in the north, if that the case, changing its old name of Liberation Front to some kind of Party will never stop them from trying it. I see retaining an old name out of an interest not to loose its history. So as an ordinary citizen with little political knowledge, I don’t see the topic as important. What will be the name of the new nation that you dream to create? I hope Badime will be the capital. Problem solved. His excellency Atse Isayas Afewerki I will remain the anointed King of the newly created nation called Erigray. Maere tebabalu ay fiqir mewaded! That is the usual reason repeatedly said that I found difficult to understand. 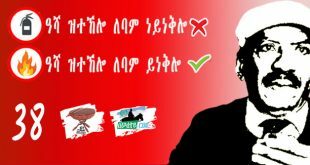 OK, let’s say that TPLF changes its name into “TPDP”. Do you mean that this new would assure the people that the party wills never have an option for seceding from its motherland and emerging as a new nation? To me this is a weak logic. But I want to hear from you. Now it is clear. I was focusing only on the following question : Is Tigray Peoples Liberation Front consistent name with its current objectives? the possibility of a derg-like shewa-centric regime coming back to ethiopia has a one in a million chance. the political situation in ethiopia has changed to such a level that no one ethnically oriebted party will ever be able to rule the country. that is why tplf formed a collision government, because it knew right from the start that it would not be able to control the country alone. a separate tigray state will not be easily viable. that is the fate of small countries without resources, undeveloped and a limited market. the end could be poverty and instability. the third scenario of coming together with eritrea and forming an eritrean-tigray or tigray-eritrean state (better not to give it any name at this stage), is the trikiest of all. with the problematic relationship that characterized the two people through out their resent and past history, the after-effects of the 1998-2000 war going to linger for a long time, and leaving behind a resourceful country and joining a country of much lesser resources, is not going to be attractive or look rational to tplf. in addition, expecting to get back power in eritrea, which it had lost in ethiopia, is next to impossible. tigrayans might find themselves in a subordinate position; remember, this had always been the way eritreans looked upon them. finally, if you look at the development taking place in ethiopia, the infrastuctures that are dispersed all over the country, the mega projects that are not concentrated in a single ethnic state, thus affecting the life of almost all ethiopians, does not point to a partisan party that has in mind the possibility of going a separate way. You are too serious. I think Sem is just playing. Therefore, adding this together, ethiopia= EPRDF = TPLF + junior partners. When I say ” it was a lesson….” in my comment above, I was serious and it was new to me. But I couldn’t say if you are kidding or talking serious point. Your link seems dangerous and I didn’t dig further. My God, I wonder if you are talking Qinie in English. Picking the TPLF flag, if there is anything that I hate in TPLF, it is its flag. It is bad combination. Please write simple sentences. I will address some of your points soon. Please also tell Rahwa the status of TPLF in the west, particularly Canada. She will believe it coming from you: that it is listed in the terrorist watchlist group, retroactively. Also, if you accidentally donated money to them, there is an FBI website called: I-Didn’t-Mean-To-Do-That-Dot-Com. This is different from the other FBI mischief site called: Did-I-Do-That-Dot-Com? Having deliberated on the matter, it now appears to me that the TPLF can’t only dissolve itself following the end of its armed struggle but also has no practical means to do so in the foreseeable future (practical meaning their basic set up and what that has led them to doesn’t lend itself to a favorable condition to dissolve their organization). On the other hand, EPLF had the capacity to have dissolved itself properly rather than a mere declaration of dissolution. By dissolving, I mean that the concerned organization is fully assimilated into a new order that is fundamentally different to its make up, composition and organizational attributes. That would mean leaving the era of liberation movement behind for good. EPLF simply transferred its financial and material assets to Hidri and renamed the organization. There had been no widespread dissolution procedures undertaken systematically. networked parties as hafash wudubat and others were simply abandoned, no disengagement plan, no widely held consultations and its security and intelligence organs were simply moved on to perform the same tasks post independence. In fact that could be the essence of the catastrophic failure at the origin of Eritrea’s troubled path past independence. The process of dissolution had not been done properly and it was kind of fake (akin to fake democracies). In fact, postponement of its dissolution would have fared better than a fake dissolution. In TPLF’s case, it is much more complicated than EPLF’s (the latter had a unified and cohesive social structure to work with). I don’t think there is a real session plan for TPLF to disengage itself fully and assimilate into a different national that it doesn’t have full control on. EPRDF may have been thought of as one such plan for disengaging TPLF and assimilating it into a national post liberation era formation or configuration. But it would require REAL transfer of of power and completely folding the organization fully. So, on balance, EPLF had the means to dissolve correctly and chose to go for a name only dissolution and TPLF recognized that it had no means to dissolve and instead found another name only umbrella that somewhat mimics dissolution without real or actual dissolution. Your original post actually had two questions: why won’t TPLF dissolve itself; why won’t it reform itself (which I presume includes name change.). You have answered the former (after Eyob refused to come out of his cave and the invited Ethios didn’t choose to participate because it’s more fun for them to discuss Eritrea and hey who can blame them) but not the latter. If TPLF have not changed anything when they come to power, Do you believe they had the mean to hold the country together?. I’M talking structural, even if it’s cosmetic. Yeah, they would have. Specially if they had changed their name to Hzbawi Weyane L’mat Ethiopia (hwle). Name on copyright pending. Amazing fluency of Tigrayt for someone who had a passing experience! ! Ahhhh,I must admit,without bias,that you are a Perfect Shooter! I carefully read his Tigrayit and it is a Classic Lowlander Tigrayit/ Keren style and I was tempted to ask him the same question you asked him!He turned me down by saying:”Speaking in Tigrayit does not necessarily make one wedi Keren or wedi Metahit”! I agreed! He might be right and still could be chiw zebele Serawotay as he told me! But I have never come across a Kebessa man with such Fluent Arabic and Tigrayit no matter what! Be that or this,I am becoming more mesmerized and more proud of him! As you know ,his wife is from Barka (Tigrayit) and that can help besides staying in the Sudan! He is a great asset though,even though not sure when and how he is going to apply or use that asset and Talent! Moreover, based on his Artistic and articulate English Literatire mastering,he seems to be a Linguist naturally,which could have contributed to his fluency in Languages! After he told me :”Jella Jellalka Rebi,Be’al Amel Amelu Eyyihadigg we Debir akanU”,I was kind of mesmerized by his super Fluent Tigrayit,on top of his Romantic,Classic and Stylish expression of the Language! Be that or this,he is a Classic ERITREAN and we need his kinds in Eritrea,who understands the culture and the languages of Eritrea equally! If you,him.Ato Amanuel Hidrat,Salih Ghadi Johar and Prof Salih Younis along with Haile TG( seems to understand better the Eritrean Fabric though chiw zibels Asmarino – )thanks to the influence by the trio Salihs),could make up the Eritrean Cabinet,the sky would be the limit for the New Eritrea! I also heard that Attorney Ghezae Hagos’ wife is my close Coun from Keren!! I just found out when I was in Winnipeg and Edmonton! Love that multicultural marriage like the old EPLF Style! Every rule has an exception…and here’s the exception to the “No Nanana” rule. SGJ, no sax used in the making of this song: just hippies, 3 guitars and two drum sets. Your sentence two and sentence three are in contradiction. One of them needs to be sanctioned. You appear to be one of those who actually thinks that the two sanctions on Eritrea were caused by the opposition when all the evidence points to the boneheadedness of the Isaias regime. If you have the GUTS, direct your wrath against the responsible party. Using one of your 15 nicknames. Let us put aside this game of ” Nick”as it is too childish and waste of time! Yes indeed the so called Oppposition contributed the Elephant’s share by enforcing the Enemy’s Campaign and Polocy which made the Silent Majority to lose FAITH. on it-it killed Eritrea and the ERITREANS twice by doing so what it did! 2)The Sanction was and has been Politically motivated,Partial and Discriminatory! 3)If the USA along with its NATO. Puppets is trying to place Nuclear War Heafs at the doors of Russia, you expect Russia to give up? do not think the way way you do or the CIA or the NATO does! Who has been cornering,isolating,containing,encircling,provoking and setting up Russia? Did you say Territorial Integrity of Ukraine? The ERITREAN Territorial Integrity does not concern you? BTW,did you see how the Russian are good in decimating the ISIS in a wk while the West is crying crocodile tears? Apparently, it has been alleged that the Russians confirmed that the ISIS was created by the West, the MOSSAD and the M16! included ! Plus,you believe that what the Hegemonic West did to Iraq,Afghanistan,Libya,Syria,etc., was right and justified,and there fore,does not deserve sanctions in the books and the world of Prof Salih Younis??!! Again, this was a New Orleans gumbo. I can’t make heads or tails of it. 1. Eritrea. Country was sanctioned because from 2006-2009 Isaias Afwerki made it clear that he wants to be a player in Somalia and he refused to heed UN (not Langley not CIA, not State Dept) resolutions demanding that he do so. He did after he was sanctioned. He was also sanctioned after he was begged for a year and half (June 2008-Dec 2009) to acknowledge his dispute with Djibouti while he categorically denied it only to acknowledge and use Qatar mediation AFTER he was sanctioned. He continued to play cat and mouse with the UN from 2009-11 refusing to listen to more resolutions and again taunting the UN and he was given more sanctions: monitoring 2% Diaspora tax and monitoring mining revenues. AFTER he was sanctioned, he stopped doing all the things he was begged to do before he was sanctioned. And now he is begging the UN to lift the sanctions. That will not happen without US consent (simple politics of veto powers) and he thinks the way to do that is by insulting it. Gooood luck. 2. Russia. The only African countries who supported Russian invasion of Ukraine are Sudan and Eritrea. Sudan, verbally; Eritrea by sending its Foreign Minister to Russia. If your plan on getting the UN to get sanctions lifted is by antagonizing the U.S. and cozying up to Russia, again it saddens me that Eritrea’s policy is reflected in your thinking. What’s worse is that like Isaias Afwerki, you blame all his disastrous policies on everybody else but himself. I am sure this makes you feel “objectives” and “unbiased”, but you are mistaken. You are over correcting it. Slow down. First you said “sit” as mewashet. Then, you apologized to Tes . You said you meant “Sir” not Sit. Which one is right for now? Come on man,take it easy.I was trying to mimic you ! Ertram abra ke Etiopia gar tikdem!! Kalsina newih eyu Awetna ghin nay Ghiddin eyu! Don’t you think your jibes and sneers are uncalled for, and at times sound hateful? It looks like you stopped reading at the first part which you can clearly see I was not serious at all. The second part , I meant it. Now to the graffiti. The best graffiti is that says ” aTir lay yemishena wusha bicha new.” The funny thing , people still urinate while reading it. Indeed, I hope you understand our frustration–I hate it when I have to babysit adults. But it is a chore turn that I have to do. I hope you understand how we try hard to make this forum inviting, a home for anyone willing to engage in a civil debate, we believe we can do our role and contribute to softening the tense attitude of all of us for the sake of peace and stability, and reconciliation. Some people are just bent on making our life difficult–we need the help of everyone, to be patient when it gets hot, not to pour gas. I am sure you do not expect moderators to check everything, we know the usual violators and the rest we just brush over the comments–when we see a speeding car, we just run for the yellow card (they have a yellow card, don’t they) but personally, I hate it when I have to deal with a red card. Sometimes I feel like you are running an adult day care. 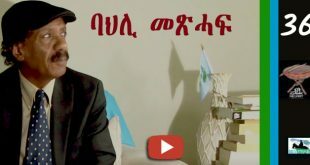 My comments are gone but was trying to chop you with a classic Tigrayit Music by a beautiful new Duo -Hiruya Ibrahim and Emuna Musa on May 20 ,2015 Independence Day Celebration at Cinema Roma! Can you helpe to upload it here so that the Forumers will go crazy? blames the government and we all suffer due to this blame game. remove the speck from your brother’s eye”. From the link that Saay provided in his article, “243 People Disappeared. Young People. Women. Children. And No One Cares” by Eric Ready. It is the story of a typical Eritrean family tragedy happening daily. The following is excerpt. 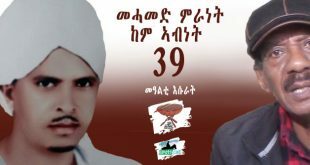 Yafet was born in 1987. He was the youngest of seven children; lived in a four-bedroom house in an upscale district of Asmara. — Middle class educated — poised to form the backbone of the new nation. to be officially drafted, he took Segen aside and told her he was leaving Eritrea,. was 20 years old, and he knew he’d never be able to go home again. people in attendance. They were happy in their wedding. daughter, Abigail, was born on October 29, 2012. The Family Pressure to Migrate. could make a big difference during the long desert crossing that lay ahead. Sudden Departure across the Desert without saying goodbye to loved ones. rescue efforts of Italian or Maltase coastguards, once a boat is in danger? Funny boy. Good trial to use a bible as a an argumentative method. haha, you are funny buddy. What part of my message did you like or you didn’t. I thought you are scholar you judge based on the content and not because dawit wrote it. dawit is not looking for ‘tifozo’.He is not running for a popularity contest. Funny boy. Everything you write, it is amazing. it gives me a laughing* story. You must be a wonderful man buddy. The best thing one can give you is laughter and you are doing it. That is why I usually start my comment with “Funny boy”. May be you need to use the Book of Exodus as a reference instead of Mathew 7. It is more fitting. laying the blame at the feet of the victim is unfair. when somebody says that a woman is responsible for being raped, or an eritrean refugee is responsible for his own death, because the one exposed herself and the other left eritrea to freedom instead of living the life of a slave under the eritrean god (dia, according to your analogy), is appalling, if not inhuman. segen and her daughter (every eritrean refugee for that matter), lost their humanity the day they left eritrea, and they are no more human beings, but a cargo (your own words), and even then, unfortunately, lying at the bottom of the med. sea. it is futile to revert to such long sermon and use the name of God in vain, to defend, absolve and sanitize the regime, because not even a river of holy water can wash off its crimes against the people. remember, the first cause that set in motion the drama of the eritrean people, later to be followed by a chain reaction, was dia and his pfdj regime. finally, the answer to your question is that every human being should be on the side of truth and justice. it is as simple as that. Blaming the victim has been the life of an Eritrean since May 24, 1991 and thanks to the people like dawit, who unlike the few PFDJ top echelons, these are plenty bunch and they are inspired by the devil who was responsible in wooing man away from Eden. The Mai-Habar: disabled liberation veterans were murdered in broad day light and according to a survivor, the massacre shocked TPLF fighters who witnessed it as they happened to be in the vicinity. Happy Canadian Thanks Giving! Relax and enjoy your Canadian ham and please forget to worry about Eritrea and its people. The God of Eritrea will deliver them from their suffering and wipe out all their tears. They don’t need your crocodile tears from Canada. There is no truth or justice in your side, all you want is Assab in exchange for Bademe. The root cause and suffering of Eritrean people is Ethiopians desire or lust to get what does not belong to you by force and PIA is the obstacle you wanted him removed by any means. Your crocodile tears for the Eritrean people, even if it fills the river Nile will not wash you crime. There was one question I asked to Saay yesterday. He replied and I replied too. But it is gone now. Do you know why? Whatever pops out of the link I provide, don’t ask me why. Just curios I looked what the discussion might have been….is it the pilot analogy discussion? Yes the discussion was on pilot anolgy. In the link you provided the exchange is intact. Strange. Thanks anyway. I wonder how the moderators would manage if they were to attend to every issues we have. Keeping the place clean is in itself a big task. On many occasions I see awatista shouting for assistance from Awate moderators, while it may be a simple glitch (or not) that we can solve. The funny one, is when some send a message to the moderator to correct the spelling or delete a note. Not picking at you specifically, many of us are guilty of what I mentioned. By the way, I used your disqus account to find it. Your communication with Saay is still there, it is just buried below the new comments. If you are using disqus, you may sort the comments by “oldest” at the top right of the disqus page and you will find it. Or you may just scroll to the end of the comments. 1. Re-read the Sanctions against the Nations I mentioned and you will find it to be almost the same ” Position” like yours! No comprende. What nations? Was our position written in 2006 before or after theirs? 2.What about the one asmarino(mekelino).com website listing you as the top sponsor to petition against the EU Development Fund to Eritrea to alleviate the suffering of Eritrea and Eritreans? First of all, the websites name is Asmarino.com. It’s founded by a genuine Asmarino. Calling it mekelino is childish. Second, can you provide a link? 3. It is funny that we heard lately that The TPLF Gov has intensified again its campaign against the renewed negotiation of the same EU Fund for Eritrea and Mr Petrod Tesfaghiorghis also confirmed to us that the COI. and the Geneva Demonstration was engineered and funded by the same TPLF Gov! You got a link of Paulos saying that? It’s not that I don’t believe you but I actually don’t:). It doesn’t sound like something he would say. It sounds like something you got played in because lord knows you enjoy being played. 4. What happened to the CAN DO PEOPLE against all ODDs? Can!t they handle it by themselves? They are alive and well. They will have another demonstration, a big one, end of this month in New York. You can join them and ask them–if you have the GUTS!–to their faces, who paid for your airline ticket to come here? 5. Funny indeed ! I will stop here as I do not want to be banned again ! Thanks for the hade,kilite,seleste.etc…style argument: or”advice” or,rather WARNING,and / or Threat,should I call it?? 1)Nations: I meant the fate of Iraq,Libya,Syria and even the Sudan due to the so called Targeted Sanction! China and Russia are equally victims of the same Imperialist and Hegemonic Western Policy! a)- Ask the so called ” asmarino”.com as to when and where it listed you as the top Sponsor to petition against the EU Development Funds b).Plus,it is your home work to dig out as to why you are “misquoted” by your sisterly website ! c)Having an Eritrean name does not make one to be real Eritrean and go figure it out as to what I mean! d)Check the link for the U.S. Intelligence web quoting the same sisterly web for being Ethiopian Friendly website and being sponsored by…., fill in the blanks! 3)As to Mr Petros Tesfaghiorghis’ comment,scroll down or up,to the first comment or response to Miriam September’s Article on Eritrean Solutions for Eritrean Problems! As to his affiliation with the TPLF Gov,I hope U will not ask me for a link! 4)As to my stand,position,affiliatin to the PFDJ or its Masters, U know better than any one as to who I am and what I stand for and ,plus, I do not need your prescription as to who to support or to side with— just be yourself! 5)As far as banning is concerned,you and your Co-Moderators know the details as to why I insisted on changing nicks:You blocked me many times when ever I try to use the same Nick over and over but you keep claiming as if I was allowed to use the same nick-Hope, and claimed as if I keep changing it for the sake of violating the Posting Guidelines!! -Calling me Psychotic and Bipolar though I could handle being labeled as Incoherent? -Being labeled as someone with No ID or with ID Crisis? Etc….. And those who said so are free and privileged,huh???!!!’!!!!! Hundred exclamation marks! So childish and embarrassing to argue about this minor doctored nick issue’! Yes,indeed,I should have known better about Addiction otherwise I would not be here to be a victim of this and that! Take it easy buddy; don’t post when u r angry. How many days of daydreaming and contemplation will it take you to know you cant use two past tenses in one sentence? No wonder why your name starts with ‘d’ and not ‘D’ as the norm. Hello, saay, what a brilliant article! I mean you amaze me. You are the best cheerleader for the American empire. state department should make a statue of you. As a matter of fact I will buy hammer and chisel, can’t wait to worship you. After all great ‘mind’ such as your should be honored. Pronto! Or rapidos. “Russian aggression towards Ukraine” really. What year is this by the way? Geez, you don’t get it do you. You sound like a policy maker from the 80s. I almost said insane McCain. But then again who am judge. You are Saay the great. ንዘንተ እለት፡ ህያው ናይ ልብና ኢኻ! tes: That was something man, Thanks. Semere: የቀንየለይ.። ናእዳ ምስ በዝሓ ድዩ “ወሪዱኒ ጓል ቀሺ” ዝበለት?You and SAAY need to crack open this secret. In whatever subject and language you write you do it in excellency. Hope I meet you one day in person tsehayna meelia miss bereket. Thank you. I can’t stop reading this sensitive poem. How many days of praying and fasting did it took you to distinguish between Nitricc and dawit. What a brilliant discovery! Interesting that you mentioned your co-delegate to the 2nd EPLF congress, Elias Amare, because that’s who I had in mind (and provided a link to his article: Eritrea: Africa’s Cuba) when I was talking about the addiction of idealism. An otherwise softspoken, smart, patriotic guy is forced by idealism to rationalize torture, disappearances and indefinite servitude of our youth. And for that, Bob Marley had relevant lyrics in his Redemption Song: “emancipate yourself from mental slavery” because, in my view, nothing demands mental slavery more than communism. You are really commended for your inputs. What we all need is just to understand the basic information about Eritrea and its people in order to say what is appropriate for the land and its people. Your inputs confirm, our difference was in the reaction to the problem and not the degree of the problem. 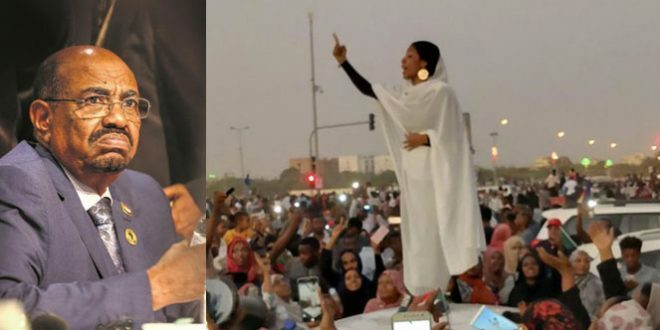 Allow me to say that l kept following up Nitricc’s rage in not punching when the Eritrean opposition could to solve the problem rather than let the people suffer at the hands of Isayas. Well, to the opposition removing Isayas is like removing a black spot on a mirror by force resulting in shattering the mirror. This is so because all the East African countries are so destined if they don’t “yes themselves” to countries like Qatar and Saudi Arabia, who are Isayas’s main supporters. HI SAAY, very nicely put. 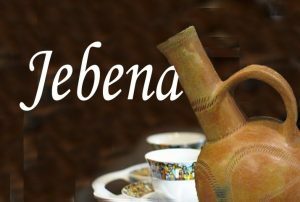 This article is composed with real Eritrean realities by an Eritrean observer. In other words, it is not the typical article I read that a white person’s perspective of writing about Eritrea. You captured the whole situation very well. I used to wonder and think what the harm releasing the G-15 could be? They served over a 10 years with out due process and they are too old to challenge PIA and his system. As much as I detest arresting the journalists but I can understand the reason holding on to them. They are relatively young and they could present a serious challenge to PIA and his system. But G-15? I never got it. It was the biggest riddle for me. Then all of a sudden; PIA him self answered my greatest brainteaser. PIA was interviewed by an Egyptian journalist and the journalist asked PIA the following question. The first one; when he was interviewed by an Egyptian journalist. The question was: how do you feel about your comrades who fought and freed this country alone side you but today they are in prison? I am still hunted by that answer. And if PIA’s answer didn’t give you all you wanted to know about him, then, nothing will. They are humans who sacrificed no less than himself for the very country holding them in prison and neither they are dead nor defected. To write them off like that is, not only the greatest crime of all time but sickness. The second time PIA showed us his hand was when he was asked by an American journalist, that if there is a plan for a reform within his government and he did not like the word reform to be used on their discussion. He told her; in order to be reformed, there must be a wrong to be correct. Again; PIA showed you how delusional and narcissists he is. He thinks everything is cool and fine. As far as I am concerned; I have told Haile TG and SAAY long time ago to let the house burn rather than trying to dislodge him from power. So, SAAY, forget family intervention; forget communal interaction; all you get and you must wait is, for divine intercession. So far in this comment you are in the right direction, except one. We can’t tie our hand and do nothing waiting for “divine intervention.” The country and its people are losing everything, the crime of humanity is in its climax where no one know the whereabouts of thousands and thousands of our citizens, the social fabric of our society is torn down like a dysfunctional society, the country and its people are re-oriented by alien culture where there is no respect of humanity and decency, the economic infra-structure of the country falls apart with its productive forces leaving the country in droves. How does your conscience tells you to wait the divine intervention which no body knows the time and space as to when it will be. But when you say “PIA showed you how delusional and narcissists he is” I saw the inflection point where you are going to change from defending the narcissist despot. I hope to see such kind of changes in dawit, Gud and etc. dawit is well settled comfortably with ‘znegese ngusna, zhareme maina’. How is your demolition crew is doing this days?. What am I reading? Are you calling our dear leader delusional and narcissist? What? Gen.Nit, just to add: non of the imprisoned were brought to a court. Therefore, all of them, including the journalists, are innocent. Imagine if you were to be kept 14 years in a prison without a charge, a prosecution… Mind you we are not talking about the prison you are familiar with here where prisoners have lawyers 24/7 even after they have been convicted and sentenced. He should release all of them, politicians, journalists, elders, all non-criminal prisoners. The rest of your comment is really inspiring. Why am I not surprised by Nitricc’s comments? I always knew he has it inside him and many considered that something else. I have followed him for years, he is contrarian, annoyingly at times, but he is not what he pretends to be. He is not callous or in denial. Wow, what is going on here in awate ! I know there is something different on you, something out of our imagination but I never thought one day Nitrickay will come with such comment. It seems another four five days there will be new development. My friend don’t forget to count me, if my service needed. I hope others will join you and if you are going to continue in this quality upward you will lead the nation toward peace. it seems to me you are really practical man and I am afraid this makes you a bit tough so please add some two spoon honey of kindness and you will join the balanced fighter. Are you saying then it is OK to send in dungeons if they compete with you? How disillusioned mindset you have? Justice does not depend on whether one is competent or not, justice should not partiality. As usual, you showed your damn inhumane character. Re-read Gen Nittric carefully, specially focus on his brutal conclusion saying:”….this is not only CRIME AGAINST HUMANITY but SICKNESSES …”! As Ustaz Salih said it,he is a very brilliant kid,who calls a SPADE just a SPADE.with an inquisitive mind searching for TRUTH but TRUTH and ..he is way beyond your imaginary Nitric! At times,with all due respect Nephew,you annoy me when you try to misread and call with names the people like Vet Mahmoud Salih and SAAY,without reading them well! Please,before you respond,read their comments to the last word twice! PTS was complimenting U but U went banana or read him out of context ! I stand corrected for my constructive feedback if I misquoted U! If U have not Eritrea,I ask u to visit Eritrea and try to visit the Warsays at Aseb and Baduma and Tsorona Fromts besides Sawa,the Nacfa Trenches,Bisha,Bada,Colluli,then Massawa,EIT at May Nefhi,and try to interview privately the elderly,the Single Moms,the widowed ,the Students,the fathers,the kids,etc like I tried to do and come back with an Eye Witness Account Report! I believe U R a Student and we can share the bill if needed! BTW,do not forget to visit Ela Eiro(the G11 Prison) and try to interview PIA @Adi Halo Bunkers unless he is in Baden Hospital in Germany for Rx as per Deki ‘Bat Ertra,Com(latest breaking new on PIA)! You are all over again. What happened to your landing in the pfdjites propaganda website. I thought that you gave-up awate. Well come anyway. About Nitricc, The problem with me is, I care for every line dropped. I don’t skip and look the last half sentence. Unlike you, who praises achievements who are scored through mass killing. Let me ask you this: I heard that PFDJ admires Hitler for building his country in technology wise. Did they put into account the fuel used to run the industries that produced these technologies? The fuels were nothing but alive bodies of the Jews. The same is what happening in Eritrea. If a single hospital is built inside Eritrea, remember that 1000 people are dying for it, directly or indirectly. If these is an active mining activity that you praised all time, remember that it is run by Eritrean people held as slaves. I know you love on glittering. But ask how? Anyway, cool down and see the oven we Eritreans are living on. Do not rush to eat the bread but ask how the bread is made. Above all, there is no bread coming. Everything is turning into ash. U have gone banana again! If is none of your business if I adore” the PFDJ or not,,which you know better that ADORE OLNLY THE LORD of lords! Plus,it is for your best interest if u consider feedback s,be them from the Kebero Jankies or your buddies as you are not and cannot be perfect! We do not need philosophy ,Utopia and Metaphysics here but Real and Original and of utmost importance,PRACTICAL Eritrean Solutions for Eritrean Problems’! You don’t say “Sit!” for a human being. You use it only for your dog. Not expected from a person who adore only the Lord. We own our destiny Nitricc. And to wait for Isaias to die and/or to speak incessantly about his health is to empower him and to concede that nothing that can change without his will as long as he is healthy and alive. But. Consider. 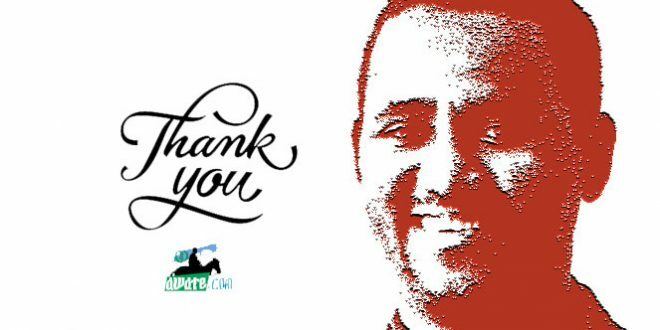 Mahmouday mentioned Bitweded, a prisoner of conscience since 1992. When he was imprisoned, those who would later be known as G-15 told his ailing parents that he is “in good hands, with his own brothers: no harm will come to him.” Qsenu. Then the G-15 were arrested. Some remembered when the G-15 were arrested that Haile DeruE had said (man, that guy could talk): if I ever get arrested, I am an individual; don’t politicize my arrest. And when they were arrested Mustafa Nurhussein said they deserve to be arrested. And then Mustafa Nurhussein was arrested and his replacement has nothing to say. Until he is arrested and his replacement will condemn him. There is nothing written in the stars nor the sand nor the rocks that this must go on. No. The longer it goes on, the more it becomes the norm, the tradition, accepted and carried on by the next government and the government after it. Things must change. And the change agents must be from within the Eritrean government. Not for ideological reasons but pragmatic ones. Whether you think it will happen or you think it won’t happen, you are right: our thoughts lead to our action. At the center of our predicament lies the fact that we ceded power to a single individual, at first, willingly. When he misused our trust and consolidated his power, it was late for us to dislodge him. Long before the liberation of Eritrea, a wrong impression was planted into the minds of the people about the indispensability of Isayas; that the fate of Eritrea lay on his hands. This is the root cause of our current tragedy; and most importantly, it is an insult to the tens of thousands of Eritreans who paid and devoted their lives to the betterment of our lives. The Eritreans have learned the importance of rule of law, and accountability the hardest way. The Gedli era practice that surrendered power to an individual continued unabetted after the liberation years. I think one of the greatest blunders committed by the EPLF leadership was not checking the powers of Isayas. Unfortunately, the leadership has ultimately paid for its grave mistake, leaving the entire Eritrean people at the mercy of this home-grown tyrant. And worse, after we discovered the damage we’ve inflicted upon us; we reacted by inaction, surrender, fear and flight. I really enjoyed reading this article following Rania Mamoun’s article “Eritrea Gliding with Broken Wings “which came to AT “like a cool breeze. Soft wind”. Your article “Like An Addict, Eritrea Needs Family Intervention ” asks a relevant question to Eritreans family members. How did Eritrea allow itself to be sanctioned when it knows, or should have known, that its actions would lead to sanctions and it would be very difficult to get them lifted? Eritrean Foreign policies are people who spent most of their youth and adult lives in the jungle to liberate the country from foreign colonizers. The lack of sophisticated knowledge of maneuvering yourself in the minefields of international politics, they withdrew from IGAD and OAU that gave the slick Ethiopian actors to sneak their agenda of régime change in Eritrea. Of course according to this article, the reasons why Eritrea fell into the trap, is because of its leaders are addicted with ‘Power’which distorted their vision and were unable to see the UN sanctions coming. So far so good, however cousin, you missed or deliberately avoided the role of the other members of the family on the sanction. Of course as opposition member, you have to hide or minimize your problems and enhance or exaggerate that of your opponent. Now we can ask question to the opposition, the other Eritrean family members. crack cocaine, they wrote tons of articles fabricating and defaming Eritrea. Most of the supportive articles and proof for SMEM came from AT, Asmarino.com and Assana.com and the various clandestine online radio and tv programs. They did all the legwork on behalf of the Chat addicted EPRDF, which promised them change of regime after the crush landing of Eritrea. Some openly argue for Ethiopian invasion of Eritrea and support Eritrean territory to be occupied by Ethiopia illegally. The oppositions were busy breaking Eritrea’s wings for the last fifteen years. No need lamenting about it and get worried if Eritrea will crash landing. Eritrea will hopefully glide through will land safely. Now cosine I have debated this with you, SGJ, HGT and Amanuel Hidrat, and others, so no need to repeat it again. I agree with you that Eritrea needs forfamily intervention to get rid of the addictions for power. Obviously, your prescription drug ‘democratic coup or SGJ weeding will not end the addiction problem. I will leave that for my next Sunday Sermons..
NB. Your artist on PIA demonstration against UN forgot to dress PIA with Eritrean flag! 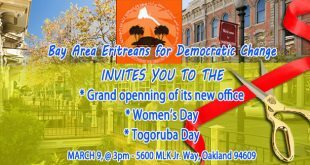 No Eritrean demonstration will be authentic without the presence of the colorful Eritrean flag. Also this week Eritrea became the #1 country in Africa to nominate a proven human trafficker (power addicted priest) for the Noble Prize award! The above explanation is obviously intended to indicate that all the foreign relation related failures are attributed to ineptitude, one of SAAY’s theories and which is less maligning. Well, in that case, as the author of the article indicated, it would be wise to step down, or call for citizens’ input. “Guys what shall we do?” would be the appropriate way to making up one’s shortcomings. But is that the case? Is it because Eritrea is short of seasoned diplomats? Well, here is the track of Eritrean diplomacy long before PFDJ controlled it. – Eritreans were good at establishing think tank centers in the Middle East, Europe, and the American continent. Later Australia was also brought in the fold. – At independence, there was a huge pool of seasoned diplomats (tegadelti and civil). -Through that huge pool of diplomats Eritrean revolution secured an observers seat in the UN, funneled aid to liberated areas; brought in foreign journalists, historians, writers, doctors…to the field. After the coup and hijacking of our journey, you see a country acting in a rather bizarre way. Like most politicians: those seasoned diplomats were either made to be exiled, disappear in prisons, or frozen for good. It is important we take a critical look dear dawit. The more we become critical the more we will help our country. I remember in the early 90s the fever-pitch among Eritreans on the unsustainable/artificial “success story” which was chiefly a byproduct of smuggling alcoholic beverages to the Sudan and reselling Ethiopian commodities such as coffee, log, rawhide, and so on. My friend Mahmud sounds like nostalgic which I understand. The relative ease in living condition while it lasted, was pleasant unfortunately it disappeared into the thin air like houdini’s black magic, now you see it, now you don’t because its foundation was practically a pile of sand. I like what you wrote about Eritreans’ experience in Foreign Relations pre 1991, during the struggle for independence and after independence 1991-98. I can’t add any thing with what you wrote, we had great diplomats, starting with Osman Saleh Sebe and Dr. Berket Habte Selassie, who did a miracle to popularize Eritrean legitimate struggle for Independence, something that was aborted by UN in 1940s. 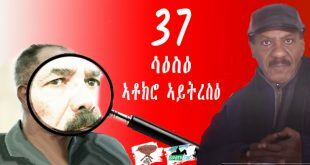 I really admire the EPLF leadership headed by IA for not giving up on the quest of Eritreans for Independence, never compromised on that, even in 1991 when the Dergu was dangling piece of meat to lore Eritreans to accept Federalism, and some ELF leadership bought it and singing the song with the Dergu. There was a lot of pressure on IA and EPLF leadership to join the Ethiopians, the EPRDF and OLF to salvage Ethiopian unity, by the brokers, UK and USA lead by Ambassador Hank Cohen in conference in London. Eritrea stood firm on its stand for independence, but did not rush to declare its independence officially, but rather decided to postpone it for two years, to preserve the rest of Ethiopian unity after the fall of Mengistu’s regime, defended the young country from being engulfed by Islamist or Jihadists lead by Osama Bladen based in Sudan. On those two critical years 1991-93, one of the countries that wanted to block Eritrean Independence was Egypt. But its effort was fruitless because of the brilliant Eritrean diplomacy that secured Ethiopian support to conduct a worldwide referendum. Eritreans took time to preserve their military victory of 1991 and complemented it with UN sponsored referendum that sealed Eritrean independence legally in 1993. From 1993-1998 Eritreans were determined to establish a genuine relationship with its former colonizer Ethiopia, they signed economic and military cooperation. I must say that was the Golden Years of Ethiopian and Eritrean people. However, due to unfinished businesses within Eritrea, ELF/EPLF controversies and Ethiopian internal power struggle created a fertile ground for some to ignite a border war between the two countries. Eritreans were betrayed by the people who they helped to get rid of Derg, Hardliners within TPLF and remnant of Derg elements waged war on Eritrea over two years, in a hope of regaining Assab port. Eritreans successfully defended the attempt and decided to settle the border issue legally. The border war came with adverse consequences to Eritrea, its cracked the cohesive leadership of the country, which created a power struggle within Eritrean leadership. Some Eritrean seasoned foreign affairs experts abandoned the ship, people like UN Ambassador Mr. Haile Merkerios abandoned his post in the middle of the border wars and others openly criticized the Eritrean president for his leadership during the border war. Instead of accepting the collective responsibility for the conduct of the war, they start finger pointing to one group. That lead to the mass imprisonment of the Eritrean leadership, and others run away living Eritrean foreign policy with inexperienced young diplomats, resulting some of the blunders that lead to the UN sanctions of the country. Those experienced Eritrean foreign diplomats left their national positions and became tools of Eritrean enemies. In spite of the internal and external problems Eritrea is Gliding with its broken wings. The young diplomats are gaining experience by the days, weeks, months and years passed and we hope Eritrea will land safely and will heals its broken wings ready for takeoff. Never! distorted and ugly propaganda. While your defense of IA is well known, I want to correct you on the following. 1. There was no collective leadership on the war as evidenced by lack of sharing events with the NC, and PFDJ Executive or CC (three important parts of the leadership. Even the foreign minister did not have timely information. DuruE left a vivid picture for history. To the point that ministers and other sidelined top officials who had commanded EPLA during the liberation struggle took things into their hands by going to command and control centers to offer help. 2. The top diplomats were either made persona non grata because of their call for reform, feared to be imprisoned when their term was expired and called to Eritrea or totally gave up on IA and they did not want to be part of a clique that had politicized foreign diplomacy. Hailemenkerios is of the latter group. Most of the senior diplomats left after they were frustrated, later in the game. 3. I would wish the young diplomats act like diplomats rather than emissaries of PFDJ. 4. Eritrea is resilient, it will take off. No doubt about it. It just needs citizens who could see beyond the figments of PFDJ’s warped vision. May All Eri-loving have wisdom, including dawitom. -R u saying that PIA did not contribute positively at all? R u denying that those senior and seasoned Diplomats were not to blame as well? If so,where were they until 1997? -Was it really diplomatic the way they handled the aftermath of 1998-2000 war ? -If u r going to tell me that PIA did it alone,I am asking you as to why they allowed him to do so! -Why did not those senior Commanders and Seasoned Diplomats intervene positively! My point is that it was our collective weakness and failure to allow one man and his clique to mess up the whole Nation and People! And worse,after figuring out that it was one man ,who messed up things,we are still allowing one man to destroy the Nation and the whole people!!! Aren’t we still responsible and liable for doing nothing? What you are talking about is normal in multi-party systems: the ruling party takes credit for all the great things that happen in a country and makes vague references to screw-ups (“mistakes were made”) and then blames external powers beyond its control for terrible things that happen; ergo, those who assist the external powers are treasonous. The opposition parties give credit to all great things that happen in the country (to the extent they are acknowledged) to “the people” and squarely blames the ruling party for every thing that goes wrong. Recall also that the first sanction (Res 1907 of Dec 2009) was: travel ban on individuals to be named later (they haven’t been named to this date); asset freeze of political/military leaders (they have no asset to freeze); impose an embargo on arms and associated materiel to and from Eritrea and Somalia. None of these sanctions had any teeth: it was the Eritrean governments failure to co-operate–and, indeed, double down on its rhetoric about the government of Somalia; its hosting of parties deemed to be de-stabilizing forces in the Horn of Africa–that resulted in something worse: a new sanction (Res 2023 of 2011) was imposed two years later, extending to 2% Diaspora tax and demanding on foreign companies to conduct due diligence that revenues they help generate for the government does not end up with Al Shabab. All this didn’t happen overnight. From 2006-2009, the UN gave repeated warnings which the Eritrean government ignored with its patented language of arrogance; and after 2009, it continued until newer sanctions were imposed in 2011. After the 2009 sanctions, the Eritrean government acknowledged its issue with Djibouti and asked Qatar to negotiate. And after the 2011 sanctions, the Eritrean government stopped talking about Somalia altogether and dedicating half of Eri-TV to Ethiopian opposition activities. None of these had anything to do with the Eritrean opposition. So, no, cousin, the Eritrean government OWNS the sanctions; it earned it. And if we lived in a world where people were accountable, it would have resigned (or been forced to resign)–whether it was due to its ineptness or its miscalculation or deliberate sabotage. I admire your firm and stubborn Political Stand and I agree with challenging SAAY,the one time Author and Petitioner to sanction Eritrea fully knowing the consequences of Sanctioning a Nation irrespective of its superficial intention- or magnitude- be it targeted or otherwise’ ! SAAY et al know the recent history of N Korea,Iraq,Libya,Syria and that of the most powerful Nations like China and Russia,which suffered a lot despite being powerful let alone the new born Eritrea with zero infrastructure! SAAY is trying to act like Pilatos here! At one time,I tried to challenge him like u did but his excuse was that the AT was petitioning for a targeted Sanction but then I caught him with his pants down just few months ago for sponsoring against the $300 million or so Development Package for Eritrea by the EU so as to minimize the Youth Exodus by creating jobs and Educational opportunities ! Remember that he is an Opposition Figure,not just an Analyst or a Commentator’! I personally agree with you for the most part with you and with Mrs Sofia Tesf and Amanuel Biedemariam when dealing with those enemies of Eritrea and in defense of Eritrea and her interest as a Nation! My only reservation is when you guys are trying to defend the EPRP Leadership and its devastating Policy and stubborn Stand ! I would just be reserved or zip my mouth about the EPRP Leadesrhip and refrain from trying to act like more Catholic than the Pope when it comes to theist ales and atrocities of the EPRP Leadership! If u have the courage,challenge the RPRP Leadership in a constructive way while defending Eritrea and her interest like I try to do with my limited capacity! But of course , it is noble to give credit when due and to those,who deserve it and when they deserve it! Btw,your counter-argument to that of Tegadalay Mahmoud Salih makes sense as PIA did contribute a lot positively until 1997! Remember that we get blamed for ONY 1 mistake out of 99 good things we say and do! But that of the aftermath mistakes PIA have made , literally messed up the Beautiful and Hopeful and Unique Nation called Eritrea and the Unique people called Eritreans!That is what we are talking about now! Do u agree that PIA made a mistake or not? 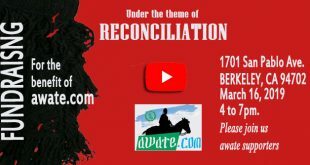 I advise U to listen to Gen Bitwedid Abreha and to read the Manifesto and the Pastoral Letter of the Conference of the Catholic Bishops of Eritrea! But MAKE NO MISTAKE that PIA was and is not only to blame but the whole Eritreans as well, not to mention the role of our enemies! And I am with you on this! “It’s déjà vu all over again” as the late Yogi Bera once said. The more I clarify this issue, the more it gets muddied for you, huh? I wrote this poem after watching General Biteweded’s historic speech for the umpteenth time. It’s a first draft. I post it because if I don’t post it now, probably, it won’t be posted. Thank you Mahmuday and here is mine. and we call it, disagreement. while pouring their sanity and blissfulness! Too bad, we are 20 years late. I know, and here he has also mentioned why reform or peaceful solution was he way. He clearly said that Bitweded didn’t really chose the correct way in trying to correct that useless group. so the massage is not only “why now” but even the man said reforming was not correct and still is not correct. I love it. in fact I don’t mean all reformers intention is wrong but the line as line or choice of change is already tried and it is wrong. Eritrea is not understandable by folks like you. If not it was for Eritrea, it should have been gone by now. It is still standing despite its ill-wishers’ dream. It will even stand taller in a short time; just stay tuned. Excellent summary of world politics and Eritrea’s place within it. I think my belief is that Eritrea is in this diplomatic quagmire because of intentional and well planned actions. This assertion is supported by former Eritrean senior diplomats’ accounts. Everything we see today has a pattern of well planned actions in order to derail the constitutional process. 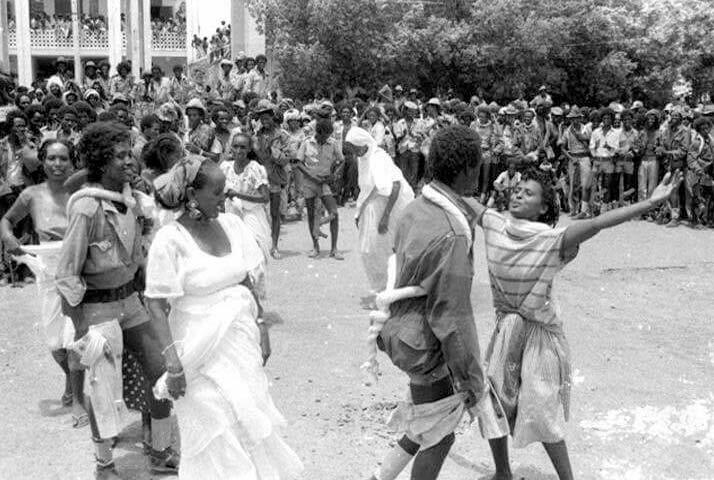 Once senior politicians and journalists were jailed, it went on to the Somalia fiasco. Any average person knows while Eritrea was at loggerhead with Ethiopia, Eritrea should never have given Ethiopia the diplomatic field in a silver platter. Eritrea was in a moral and legal high ground, and going against international community was not a matter of ineptitude. It was so obvious that was against our national interest. On the family therapy: Semere, the forum’s shrink can correct me but I would say, the family needs to undergo a thorough examinations and evaluations in order to determine who could be cured and who is terminally sick. How do you justify “eritrea had moral and legal high ground. The international community and in the international diplomatic community they are not stupid about the verdict of the EEBC. they knew from the root cause of the problem is the invader and aggressor. These is just self- moral and legal high ground… Please whenever wherever whatever you comments about the EEBC verdict don’t forget the the invader and aggressor of the verdict part of the decision. Eritrea has indeed a legal and moral high ground as far as the EEBC and EECC decision is concerned. Eritrea has accepted, without preconditions, as it signed in the Algiers Agreement to respect the outcome of the ruling irrespective of its findings. It is Ethiopia that has dragged its feet on the decision it had signed to accept to this day. The question of agression was decided by the Claims Commision which found Eritrea liable for the INITIAL ATTACK that triggered the conflict. Eritrea, however, was not found responsible for the entire war-damages, as claimed by Ethiopia. In fact both countires were awarded their respective awards according to the evidences they presented. Eritrea has paid its due according to the final awards; but I’m not sure whether Ethiopia paid its part. An enlightening but coded article. Thank you. It is good that the ideology which is of narcotic type is impossible to reform. It seems we have stepped to a common table. Good start for mutual understanding. 1. Are you saying gambling is an ideology or an ideology of gambling? 2. You are calling for massive family intervention. Well, who are these families? Today Eritrea is having a very diverse type of families. if all families intervened, the end might lead to the unexpected. Can you then elaborate who are these families? Or as you always advocate for, “No one to be left behind mantra”*? Now, on to your questions. The “social scientist” I referred to was actually a psychologist, Carl Jung, who once said: “every form of addiction is bad, no matter whether the narcotic be alcohol or morphine or idealism.” He was saying, and I agree, that idealism is just an addiction, a disease, and since idealism blinds people to rational cost-benefit-analysis, idealism leads to recklessness, to gambling, which is also an addiction. “Family intervention” is a recognition that something is seriously wrong with a family member, and occurs only when the family concludes that the family member is destroying himself/herself and his/her family, and is incapable of adjusting his/her behavior without confrontation. The family that needs to intervene is the one that is closest to the family member (democratic coup) and to do that they need reassurance that the distant family members (Diaspora Eritreans) are (a) capable of supporting them and (b) not presenting a scary face of Eritrea (ethnic federalism, sectarianism, regionalism, politics of score-settling, Ghedli defamation, Weyane-romanticizing and other forms of crazy idealism or addiction) that turn them off. I found your answer here. The last paragraph is really substantial. entay dea kemu zeytbil neberka, wae! I agree with you that idealism an addiction, a disease. That is what exactly with PFDJ is happening. Once they set their mind based on ideas, which were completely of out Eritrean perspective, they can’t change it. In fact the idealism developed had and has no space left for change. They became victims of killer disease, the ideology. So far so good. Family members: I still see this approach so narrow in its approach. A coup is a science that needs a very well organized people and plans. To conduct a coup is not difficult. In fact what happened in 2013 can be considered as a democratic coup but the way the group were organized and what to do next was not well planned. We have a recent example from Africa . Then how can the diaspora opposition groups work for the success of a democratic coup? Not necessarily to be lead though from within? Well, power addiction is even worse, don’t you think so? A little halewlew….but you get me. The important point that you didn’t touch but could’ve given your article solid form is that there is a break point even in the closest family relations. There is a point of no-return. After that point fathers and sons, an elder and a junior, could become sworn enemies. It takes long for such a strong bond to die(that’s why they are called families); but once dead , no miracle can give it life. On this short comment, I would not say this or that on whether the people and the rulers are still a family. But you could have made it part of your article – then only the family intervention business could have hit me better. What do you think? are they still a family? It is me again to say “Kudos to You” but this time with NO bias! -Why have we failed to act swiftly to save Eritrea and Eritreans? -What are our weaknesses and short-comings? -Why are we failing to build a United,Effective,Efficient,Functional and Strong Justice Seekers Front? -Why are we reluctant to join the Organized Parties and help them to do better and to be stronger rather than trying to resuciate the already dead bodies like the EDA and try to give LIFE to the body that it is still alive but paralysed?Why??? Then make this “New Old Manifesto” go VIRAL through the Social Media,Youtube,Radio,TV,etc—in all Eritrean Languages -specially in Tignrya,Tigre and Arabic besides English. Who should be involved in authoring that ” Old New Manifesto”? (-The Reps from all walks opf Life). -To spice it up,include the Major Parties and Organizations irrespective of their size and political orientations and affiliations. -Create a United Media(both social media and others-Radio,TV,Youtube,etc….I think we have plenty of them-Radio Erina,Assenna,Dimtsi Harnnet,TV Adal,etc— and we have to make sure that we reach mainly the people at home in an organized way…though. I know we have seen these many times but what I am suggesting ,irrespective of my naivity, is that we have to do it in an organized,coordinated and united way,and of course in a NEUTRAL and in a PURELY Eritrean WAY.to avoid any confusion and trust issues.., rather than yelling at,here and there..with empty slogans!. You are probably thinking that the conspiracy of which isaias afewerki is being accused is false. And by doing so, you think you are helping him. No, you are not helping him; you are actually making him look infantile and helpless because the abysmal situation of Eritrea iwill be his mirror image and measure of his maturity. You could try Qemish Adey Yehnkulni rationalizations , but they won’t work because he also willfully launched illegal war , incarcerated competent EPLF leaders, abolished the Baito and the Constitution, and has been waging reign of terror on our people ever since. Some people call him tyrant but a tyrant would not demolish the walls of his empire; for him to do so is tantamount to inviting alien forces to ovetthrow him. But isaias afewerki has been relentlessly doing that paradox. The Eritrean Defense Forces are reduced to their weakest level, there is no Air Forces to speak of, the economy is practically zero, the backbone of the country, the youth, are directly or indirectly being forced to flee their country etc. And we must remember that one of isaias afewerki’s alleged enemy is woyane, a well armed neighbor, who has been illegally occupying our territory in violation of international law, and who has been supporting Eritrean oppositions sworn to overthrow him. 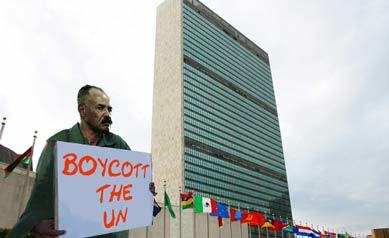 Under this circumstance, one would expect isaias afewerki to rally the people of Eritrea behind him. No, he is not doing that. He is actually doing the very reverse. Add to this puzzle that the eritrean land, Badme, which w oyane has been occupying was handed over to woyane by isaias afewerki. But Eritrea have intervened. The elders did. The G-15 did. Individually many did, General Ogbe did. Beraki did. And many. many before them did. All offered unique advice to the addicted kid at the helm. I think Eritreans must abandon this family member They are at fault: too spoiled, took everything for granted, the spoiled brat who had everything: love, accolade, prestige squandered it and the family needs to make him homeless.Hard,yes he will either will learn or perish and that way the family will be saved. The reason you can’t abandon the family member is because he is locked inside the cockpit and flying the plane. It’s a choppy ride: he blames it on the imaginary missiles fired at him that he is dodging. He has never flown a plane (it’s just a bus in the air, he says) and he has burned the operating manual. People are parashutting out and half the passengers have motion sickness from the wild ride and what’s worse is he can’t stop talking and describing what a smooth ride we are experiencing. The marshal in the plane needs to break the door, remove the pilot and constrain him and ask the first officer to land the plane. So, that kind of intervention. Not the other kind: the ones who want to hire a sniper to shoot the pilot or the ones waiting for the pilot to violate a neighbors air space and be shot down so they can all rush to the cockpit to occupy the pilots seat and then spend 20 more years fixing all the wholes on the plane—just to make an emergency landing. The man in the cockpit, he act as he does because he want to crush the plane intentionally or is it out of ignorance and power hunger? Did you use to play soccer? Or any team sports for that matter? You know that player in soccer who doesn’t give “ala”, never passes the ball? It is not that he thinks you are incompetent, it is not that he hates you, he just doesn’t think you are as good as him: he will pass the ball and you will lose it. Whereas, if he has it, he knows exactly what to do. Remember that guy? That is the man in the cockpit: he is 100% convinced he is by far the most qualified and, in his mind, he is serving. Speaking of the man in the cockpit, remember the “Hawkha abey allo?” question from Ethiopia’s Catholic priests last year. I have this extremely gifted friend and today he asked me: ” Presidentkha abbey alo? Because he hasnt been seen since September 18.” I think he is in Adi Halo and this is why, I agree with another friend, if there was a coup, he wouldn’t even know about it–he is too busy supervising the building of a dam. orthographic error or it is like what you out when you say, “from Ethiopia’s Catholic priests last year.”? Eritrea or Ethiopia? Good catch; it’s been corrected. Thanks! Family intervention is needed alright – of the “family of nations” type. How about “tough love” and punish the ‘wolf in sheep’s’ clothing? More anti Eritrea propaganda.Nicely written. Keep on working on the millennium goals is a good thing. Keep building micro dams is good. Keep building roads and schools. If you are a rich expatriate….You could fund the building of town libraries? As a charity thing. lessons in Plumbing, Carpentry ,Cabinet making, Agriculture practices. Did you know that if you take a length of clear plastic house and fill it with water. Attach to two sticks of the same length. With 2 rulers at the same height. It can be used as a level? Good for making level terraces to catch water.. Brilliant piece as usual. At this stage do you think family intervention would work? I would proffered sectioned, which includes family and law enforcement organs from out side the family. Do you think contraception would work so you are not having so many children?. In the west we call it family planning. You can not dump your cousins on the rest of the world. They are going to be sent back to Eritrea and Ethiopia.